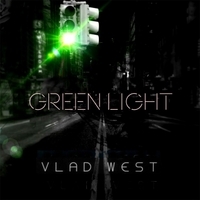 Jazz news: Pianist Vlad West Releases "Green Light"
Pianist Vlad West Releases "Green Light"
Vlad West, a noted jazz pianist who has played with numerous luminaries including Duke Ellington, Gerry Mulligan, Thad Jones, Mel Lewis, Tony Scott and Clark Terry, and is known in Europe as Vladimir Sermakashev, has released his second album Green Light. Commemorating his work with Robin Williams on the movie inspired by Mr. West’s life, Moscow On The Hudson, Mr. West pays tribute to Mr. Williams on the second track “Robin's Dream." “Hats off to the new Vlad West!” —Fred Starr, Johns Hopkins University, former president of Oberlin College, Jazz Studies. Vlad West, known in Russia as Vladimir Sermakashev, was a child prodigy. Born in Baku (Russia) he studied piano from age three, composition from age five. At that early age he was playing solo piano concerts at Baku Conservatory and was taking composing and arranging lessons with well known professors. Mr. West has technique and knowledge of classical and jazz music well beyond ordinary pianist. 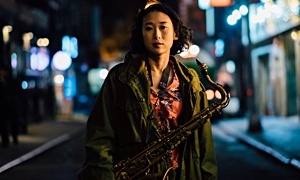 As Mr. Starr (president of Oberlin College, Jazz Study) said about West in one of his books on jazz: In his combination of grittiness and lyricism, blues feeling and sheer drive, he has few equals, in Europe certainly and even in America." Not fully satisfied with classical music, West discovered jazz at the age nine and at 16 he was already a well known jazz musician in Moscow. He received attention in Europe and America including publications such as the Village Voice, Jazz Forum and Downbeat Magazine. Downbeat has this to say about West's playing: His rhythmic sense is simply unbelievable, and he is, I would say, swimming in rhythm." Mr. West and his quartet played extensively throughout the European Jazz festival circuit. Among many others, he has played with Duke Ellington and Gerry Mulligan, Thad Jones and Mel Lewis, Tony Scott and Clark Terry, worked with Errol Werner for a few years as a pianist. He has recorded several albums in Europe and, when he came to live in America, he recorded three more there. 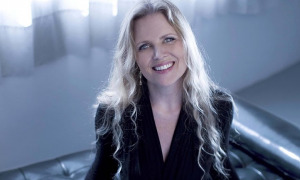 On his jazz recording Say Hello To Russia, noted jazz critic Scott Yanow wote: West comes up with creative and frequently hard-driving solos on six of his originals and three standards, making one wonder why he is not better known." 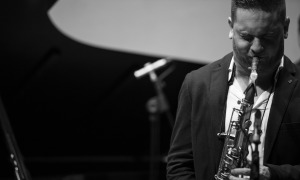 And Owen Cordle of Downbeat Magazine said this: As a composer, he demonstrates an affinity for the classic Coltrane quartet of Far Away and Black Snow." His previous CD In My Corner West recorded as a pianist. Frederick Starr, former president of Oberlin College, Jazz Studies. 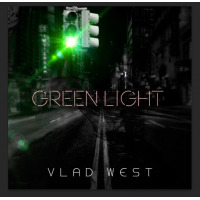 said about it: On any instrument and under any name Vlad West has a distinctive and extremely attractive voice." 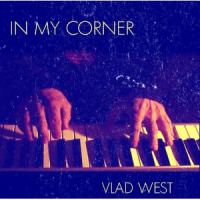 In My Corner puts his instrumental diversity on exhibit and also reveals intriguing developments in his musical style. 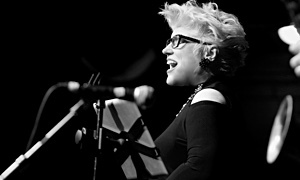 But thank goodness, there is still that wonderful lyric and rhythmic voice suffusing it all. Hats off to the new Vlad West and to yet newer Vlad Wests yet to come!" 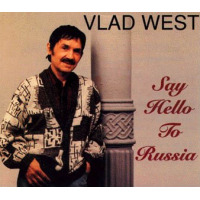 Mr. West wrote songs and music for movies in Russia and in the US and he was the inspiration, story and music consultant, and musician for Moscow On The Hudson (Columbia Pictures) starring Robin Williams.